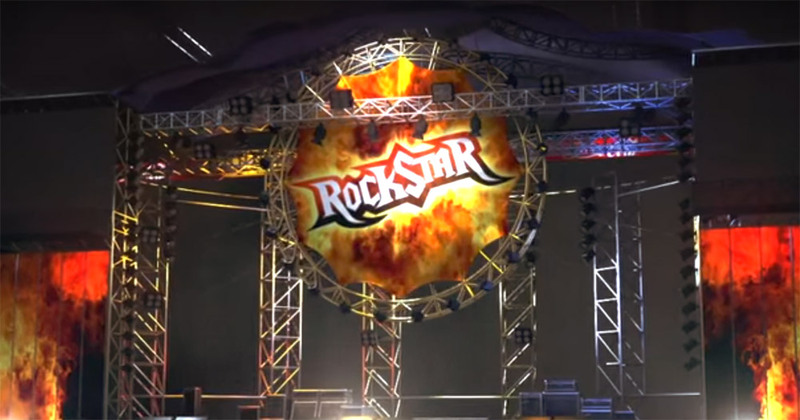 Rockstar is designed with the fan of rock n roll in mind, and its focus seems to be on a heavy metal band. The design of Rockstar delivers just the kind of look that you would want for such a game. Betsoft made sure to put on the reels images of the members of the band, along with groupies and things like VIP access tickets. The rock themed category has quite a few well made designs, along with others that don’t do as well. I’d count Rockstar in the group of the former. The game also has an Epic Solo bonus, a wild multiplier that reaches 10x, a bonus game where you can rock your heart out, plus payouts which normally will go up to $500 only. The combination of 5 reels with 30 pay lines is a classic by now, at least for Betsoft. Rockstar has among its higher paying symbols images with the four members of the band, plus the groupie. Next, there are Rockstar magazines, a bottle of whisky and record contracts. Things like guitars, gold/platinum records and tickets are used for the features. You’re getting the standard betting experience from Betsoft, as most of their games have 30 lines, and will allow you to spend at most $5 for each one. The minimum line bet is at just $0.02. You have the option to spend up to $150 each round. Red Guitar symbols are going to form winning combinations at times, and though they don’t have regular prizes for you, they will be used to trigger the Epic Solo feature. You will get an instant win this way. Two very interesting symbols to land in this game are the Gold and Platinum Discs. The Gold Disc is a wild which applies a 2x multiplier to any winning combos it helps form as a substitute. The Platinum Disc is also a wild, but its multiplier is at 5x. If you happen to get the help of both types of wilds in a new combo, then the multiplier will be 10x. The last feature in Rockstar is the one triggered by a combo of 3+ VIP Access Tickets. If they get their own winning combo to form on one of the lines that are active, there will be a bonus game triggered, called “Are You Ready to Rock?”. Rockstar has its own audience, and those that love this type of music should find it easy to enjoy the slot as well.